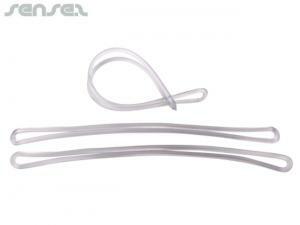 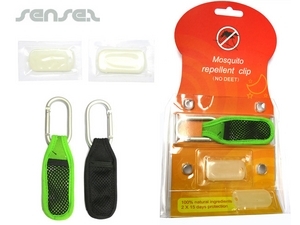 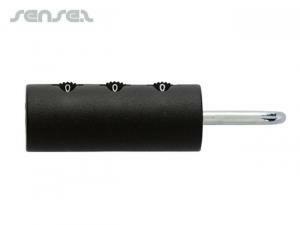 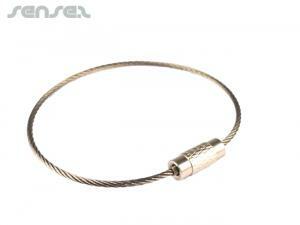 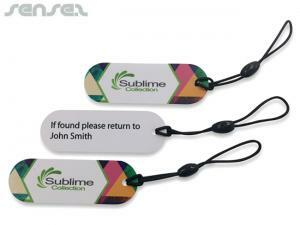 Nothing suitable in promotional luggage tags? 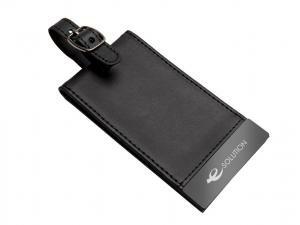 How about custom branded travel bags, logo printed corporate travel luggage tags or one of our promotional travel accessories? 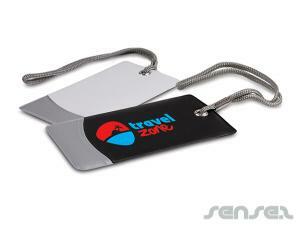 Choose from our range of promotional travel tags, customized luggage tags, metal luggage tags, plastic luggage tags with your logo print. 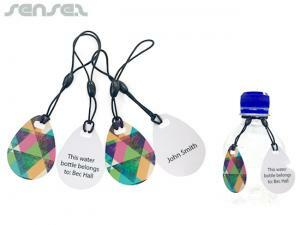 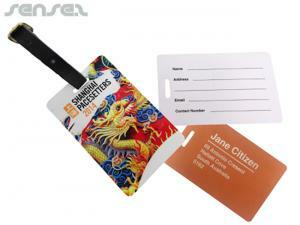 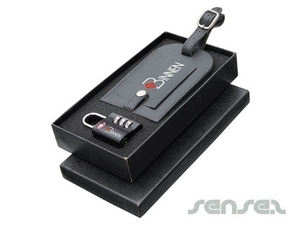 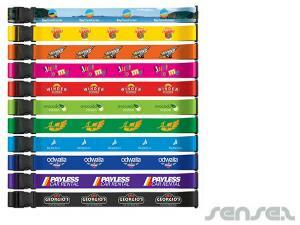 Custom printed promotional luggage tags are a fantastic give away for corporate travel or as a tourism incentive. 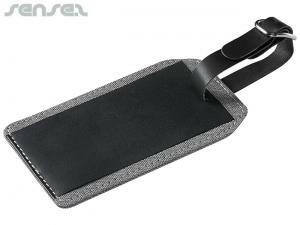 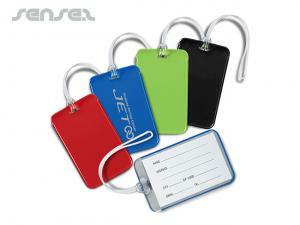 Luggage tags are rarely bought, yet always needed, therefore a promotional luggage tag makes a great value promotional gift that will last for many years to come. 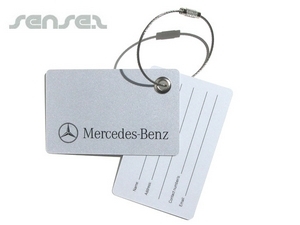 For example our range of quality aluminium metal luggage tags with custom logo print on 1 side and address details on the other side. 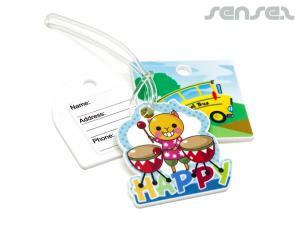 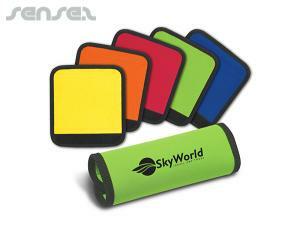 Our rubber luggage tag are great for kids products and make great corporate giveaways for kids TV shows. 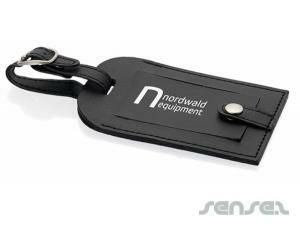 For a different way of branding luggage, choose on eo four custom printed luggage belts and luggage straps with your company logo print on them, We also produce luggage belts with number-locks for added travel safety. 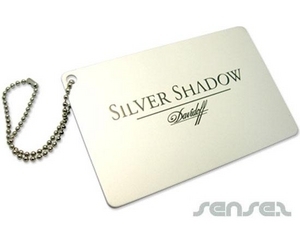 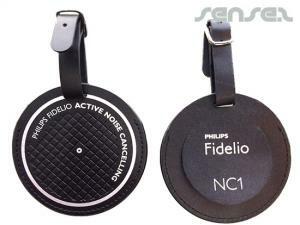 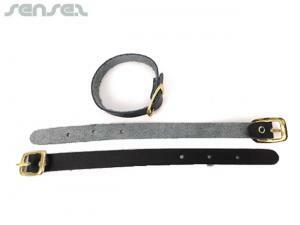 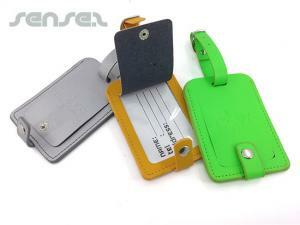 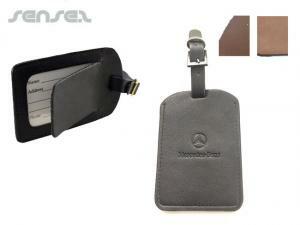 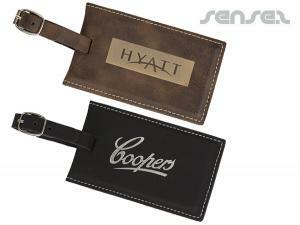 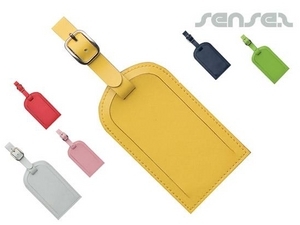 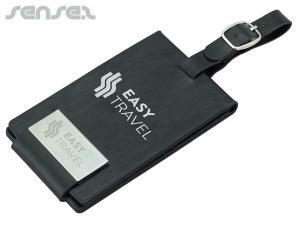 Or choose our leather luggage tag for a more exclusive travel related promotion. 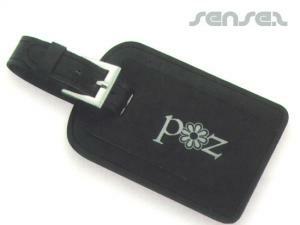 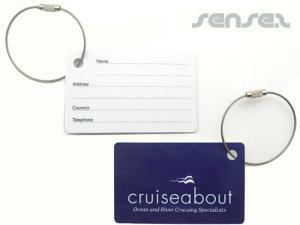 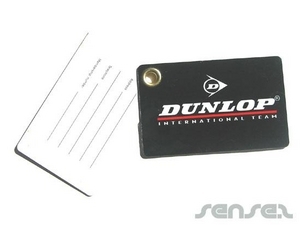 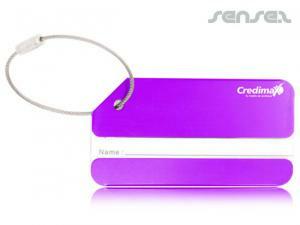 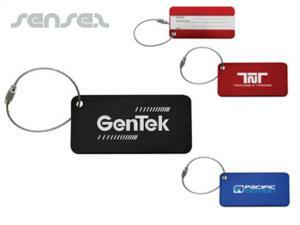 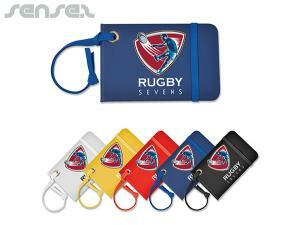 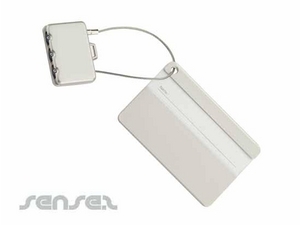 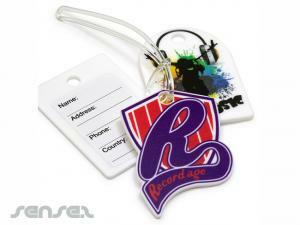 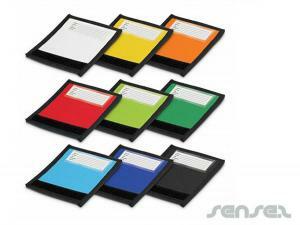 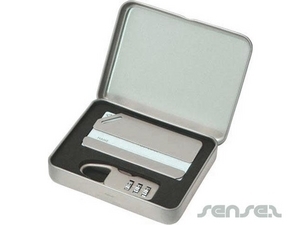 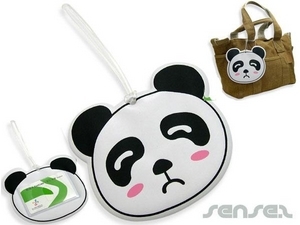 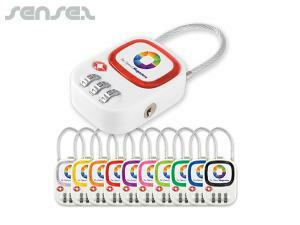 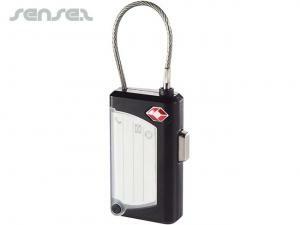 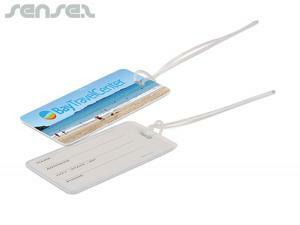 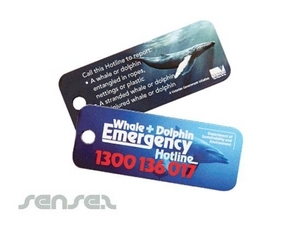 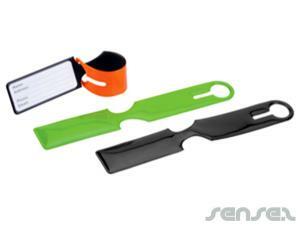 Our plastic travel luggage tags are a cost effective cheap promotional gift, and are great quality at the same time. 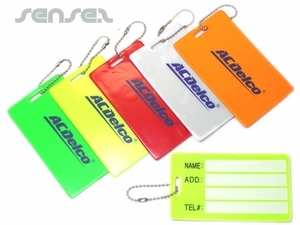 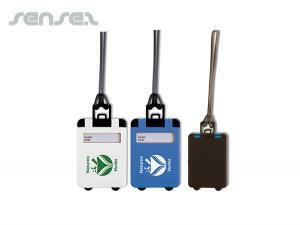 Luggage tags keep your customer's luggage safe and their holidays happy and therefore associate your brand with great memories and build brand loyalty.